NEW BRITAIN - Andre Drummond is coming back to New Britain. The former UConn star and current all-star center for the Detroit Pistons is retuning for the 26th annual Osgood Shootout. The tournament will take place Saturday, Aug. 18 and Sunday, Aug. 19 at New Britain High School. Drummond will also do a meet and greet that Saturday, signing autographs and taking photos with students 18 and younger. 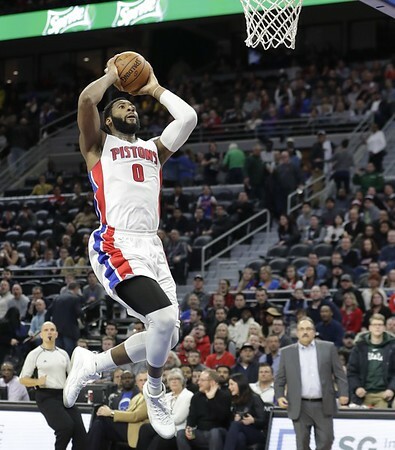 Drummond was a standout player at Capital Prep High School and St. Thomas More School before going to UConn for a season and then getting drafted in the first round of the 2012 NBA draft. In 2017, Drummond was named the Teammate of the Year for the Pistons by the NBA Players Association. This year, Drummond is scheduled to appear at the Jr. NBA World Championship at the ESPN Wide World of Sports Complex at Walt Disney World Resort. Although the Osgood Shootout Basketball Tournament, which was founded in 1992, is the largest competition of its kind in New England, it also helps college-bound students with scholarships. This year’s Osgood Shootout scholarship award recipients are Jaylen Rivera (Post University), Adele Carr (University of Maryland), Erasmus Gunawan (UConn) and Chelsea Anthony (UConn). The Albert A. Vieira Scholarship award recipients are David Rybczyk (University of Saint Joseph) and Inanna Rice (Mitchell College). Posted in Newington Town Crier, UConn on Thursday, 9 August 2018 19:50. Updated: Thursday, 9 August 2018 19:52.